Delegates at TWG meeting on crime prevention. More than 50 participants from nine countries and three agencies are attending the May 10-12 eighth meeting of the Technical Working Group (TWG) on Crime Prevention by Focusing on At-Risk Youth and Vulnerable Populations. Topics include preventing crime through positive youth development, violence against girls and women, and crime and violence in the digital age. Permanent Secretary in the Ministry of National Security Osmond Petty welcomed the delegates to the St. Kitts Marriott Resort at an opening ceremony May 10. He noted that St. Kitts and Nevis has a number of initiatives such as the Explorers Group and the Teens and Police Service (TAPS) Academy that positively engage at-risk youth and steer them away from antisocial elements. Their record of success to date was an important factor in the twin-island federation’s willingness to host the meeting of the TWG as it allows further opportunities to network with peers, exchange best practices and develop innovative approaches. “We hope here in St. Kitts and Nevis that our delegation, which comprises [people] from the police, social services, youth department, and gender affairs … will come away from this meeting with some new ideas and suggestions that we can put in place,” Petty said. CARICOM’s Deputy Programme Manager for Gender and Development Ann-Marie Williams cited alarming statistics from various United Nations agencies that indicate that up to a third of girls and women in the Caribbean will experience domestic violence in their lifetime, while the sexual violence rate in the Caribbean is higher than the world average. Additionally, boys’ underachievement in school was also highlighted as a key component in men becoming at-risk. Masculinity and gender inequality related issues were identified as contributing factors toward the underachievement as well as two of the “push factors for gender-based violence” across the region and the world. 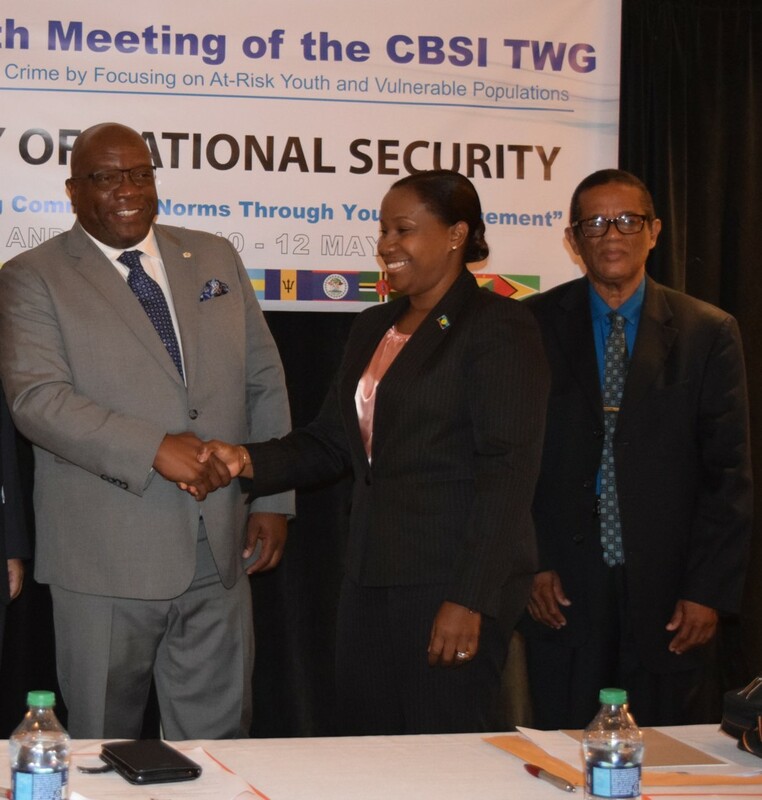 The TWG on crime prevention is an initiative of the CARICOM Secretariat and the United States’ Caribbean Basin Security Initiative (CBSI) – which is focused on citizen safety throughout the Caribbean. 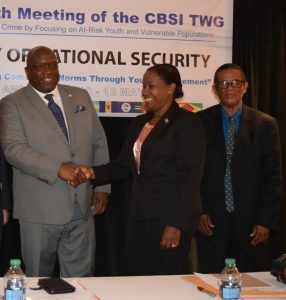 “The Caribbean Basin Security Initiative aligns very well with the CARICOM Strategic Plan 2015-2019 in two strategic priority areas: in building social resilience across the region and in building economic resilience,” Williams added, noting that pursuit of the United Nations Sustainable Development Goals 2030 will also continue across the region. Representatives from Antigua and Barbuda, Barbados, the Dominican Republic, Grenada, Guyana, Jamaica, St. Lucia, St. Vincent and the Grenadines, and St. Kitts and Nevis are participating in the meeting. 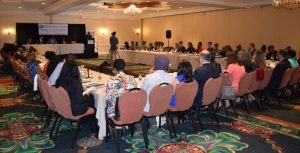 Agencies represented include the Organization of Eastern Caribbean States (OECS) Commission, Community, Family and Youth Resilience Programme (CFYR) and the United States Agency for International Development (USAID).